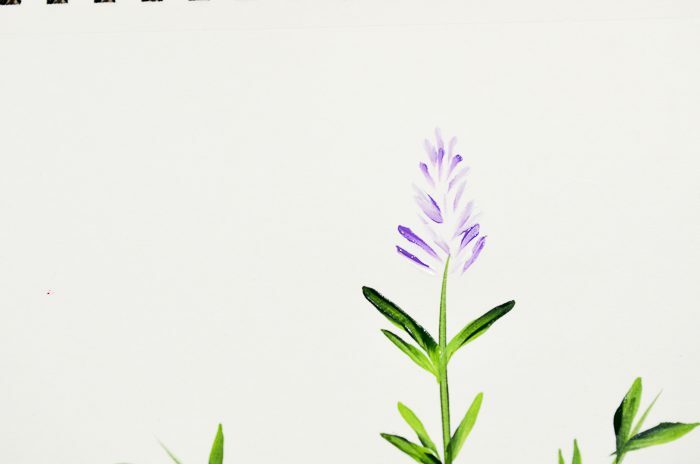 How to Paint lavender in acrylics is an easy, step by step painting tutorial that even a beginner can do. Join me in painting lavender one stroke at a time. 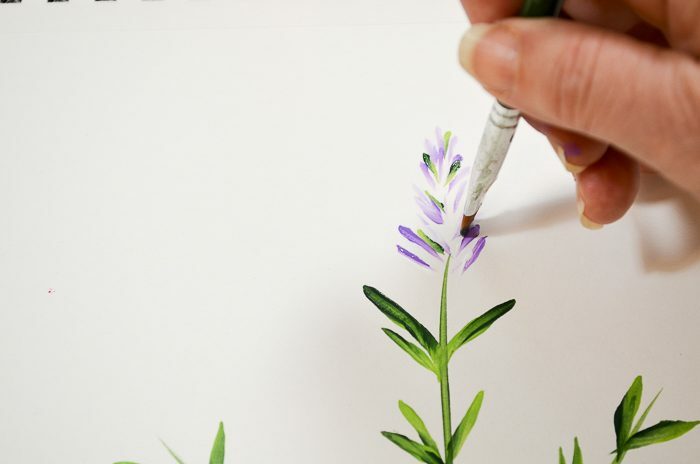 You are going to love learning how to paint lavender in acrylics. 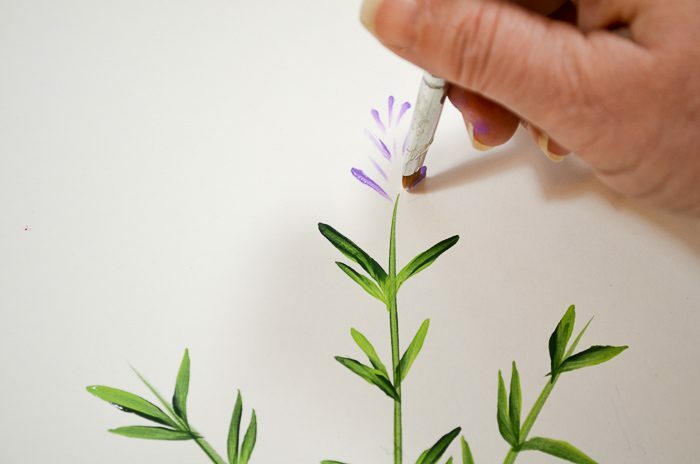 Painting lavender is as easy as it is pretty. 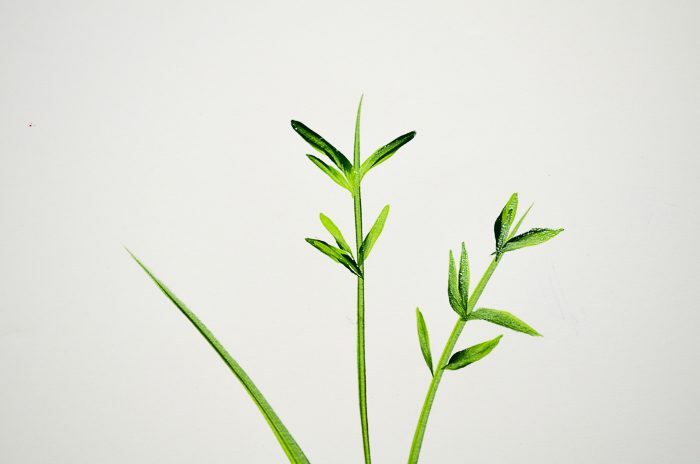 Simple strokes added together make this painting come together in no time. 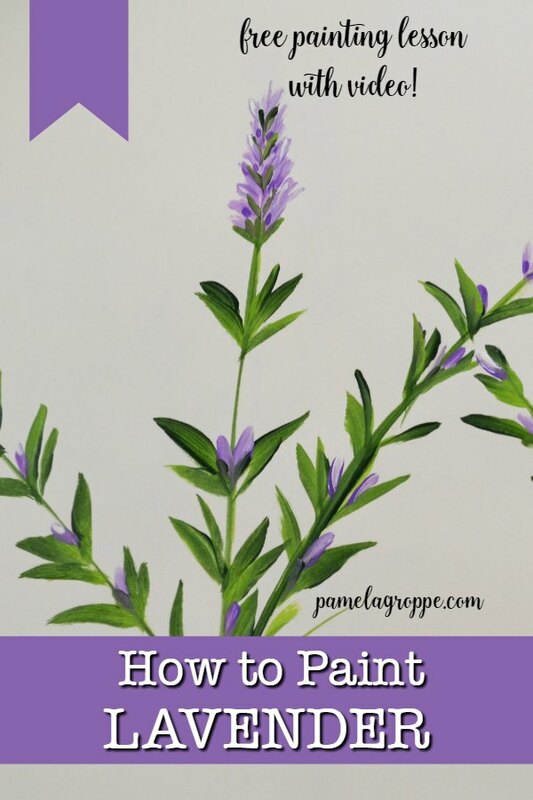 How to paint lavender is a beginner tutorial that everyone will enjoy. Since this uses very few colors it is also a great on the budget. Start with stems. 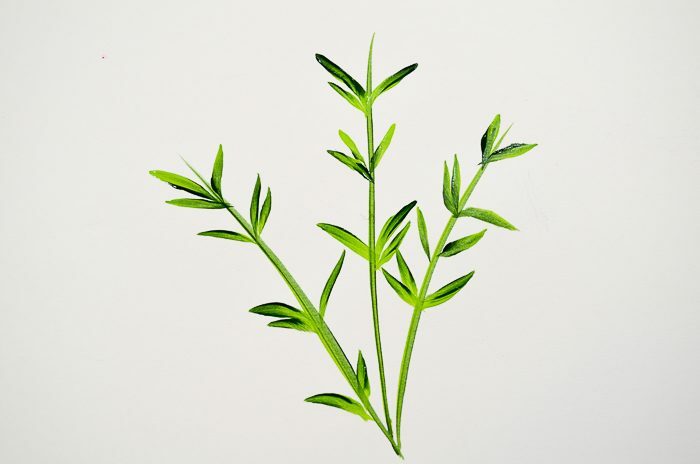 Load your #12 flat brush with Thicket and Fresh foliage, drag your brush to make the stems, lead with the lighter green. Add chisel stroke petals for the leaves. These are also done with thicket and fresh foliage double loaded on your brush. (Go here for a tutorial on double loading) Start your stroke on the chisel edge and press as you pull and then release pressure when you come to the stem. Alternate leading with the dark green and light green. The trailing color will be predominate. Switching back and forth between which color is leading will give your painted design more interest. 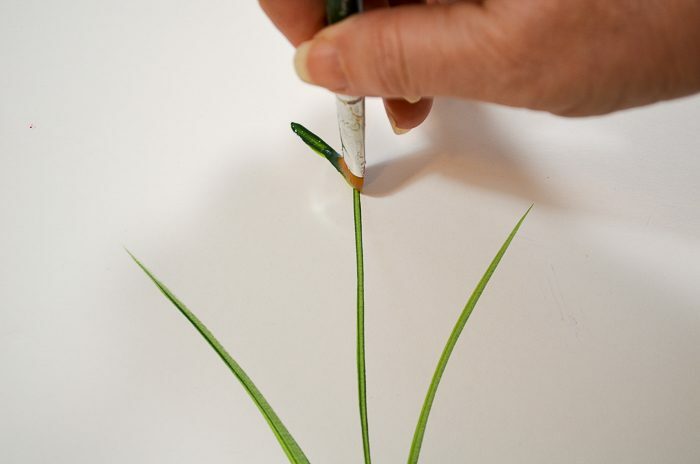 Paint leaves along the stems, leaving gaps here and there. With a #8 flat brush, double load with Lavender and Wicker White. 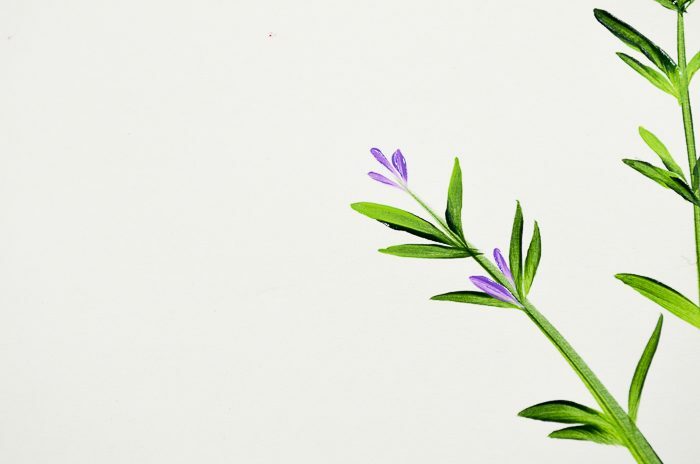 Using the same chisel petal stroke create the lavender flower with collection of buds, again alternating the color leading, until you have it as you like. The top will be narrower than the base of the flower. Come back in with your # 8 brush double loaded with the greens and bring in some small chisel leaves between the buds. 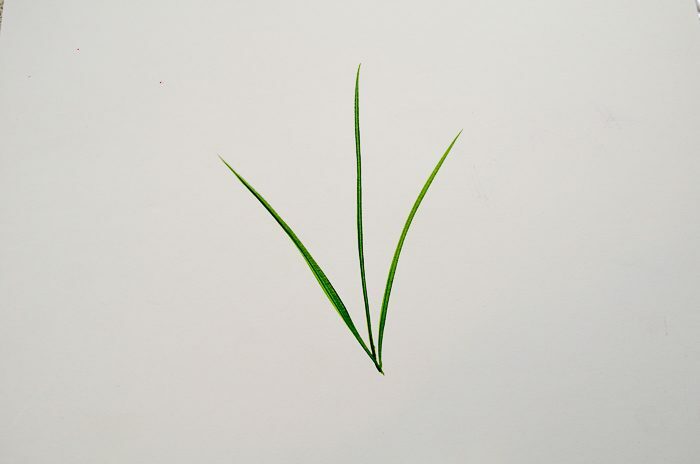 Create the calyx at the base by stroking on 3 or 4 chisel strokes in a fan shape all meeting at the stem. Now add lavender buds all along the stems, tucking them in where the leaves meet the stem. 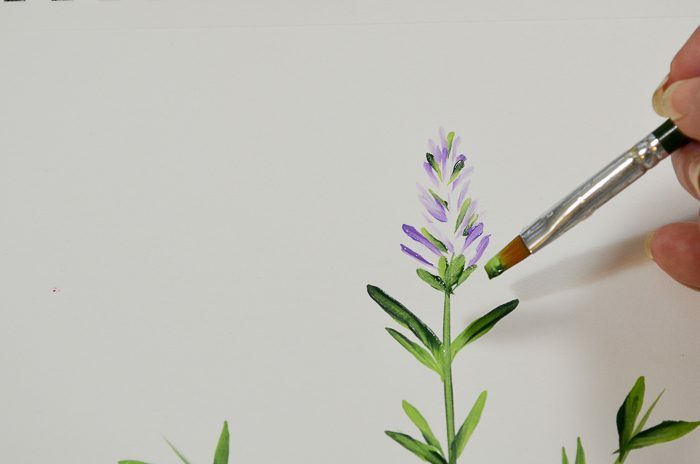 If you wish you can add more green chisel strokes by the lavender buds (this is shown in the video), but it isn’t necessary. 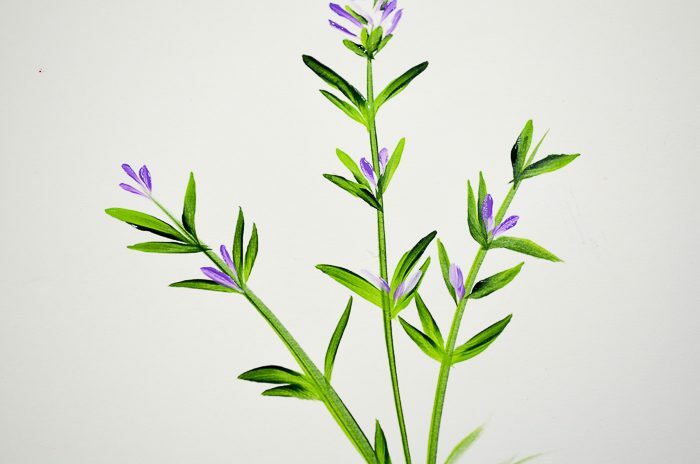 Before you know it you will have a lovely painting of lavender to enjoy! I hope you enjoyed this tutorial. Please feel free to join my Private Facebook page Painting with Pamela, where we can all share our paintings, I would love to see what you do with my tutorials. 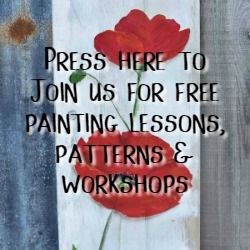 Want the latest painting lessons and downloadable patterns sent to your inbox? I post about twice a week or less. No spam here! 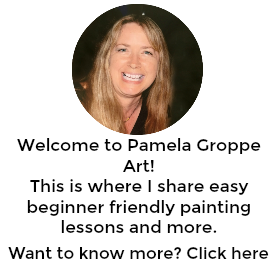 Click the button at top, fill out the form and join us for easy painting fun. Would you happen to have a pattern for a chicken or rooster? I am working on one right now. Thank you for asking. Thank you. Your lavender are beautiful. I will try this tomorrow. 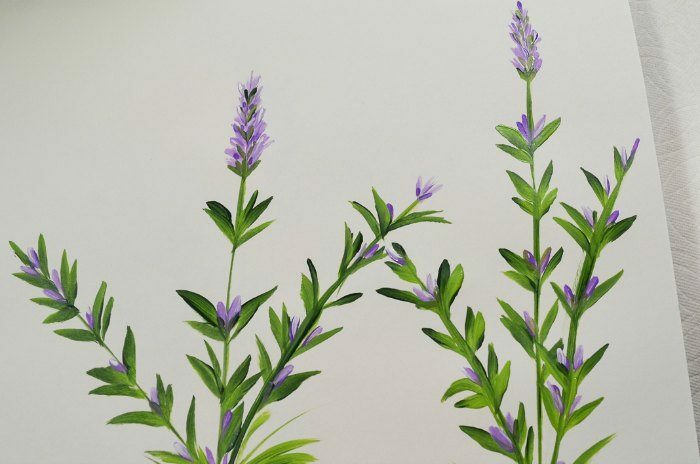 Hey Pamela – your lavender painting is beautiful – I can almost smell them!